Designed and built for High Flow skid steers. Its compact size makes it the ideal solution for dirt and gravel roads, bike and horse trails, driveways, curbs, landscaping and smaller job sites as well as agricultural land reclamation. The spiral rotor configuration ensures perfect crushing and the HARDOX® counter knives allow you to adjust the size of the final product. 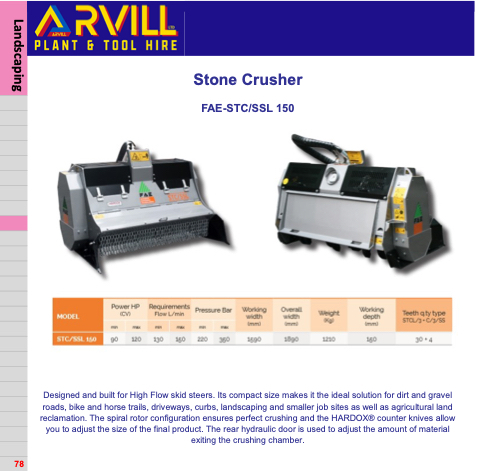 The rear hydraulic door is used to adjust the amount of material exiting the crushing chamber.